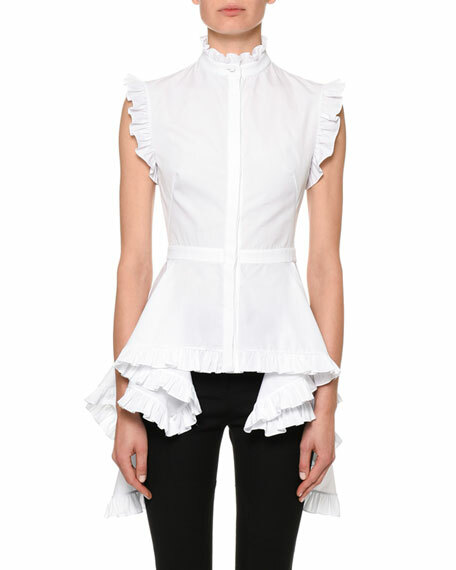 Alexander McQueen poplin blouse with ruffle trim. 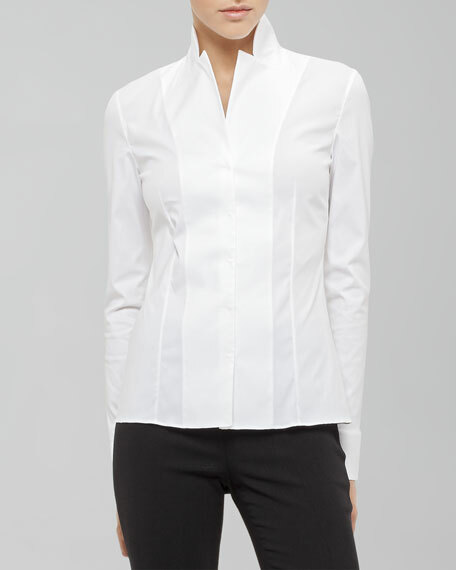 Stand collar; hidden button placket. 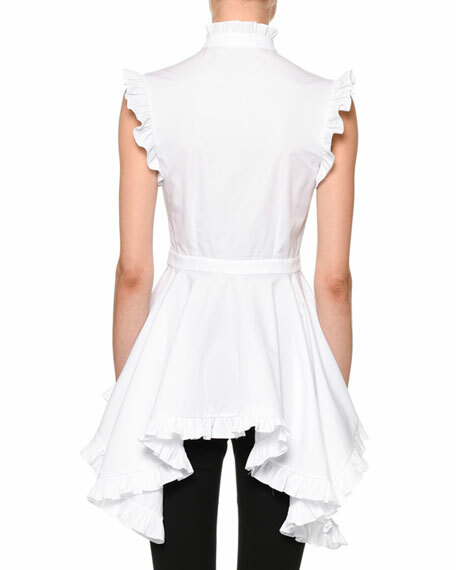 Peplum hem hangs lower at sides. 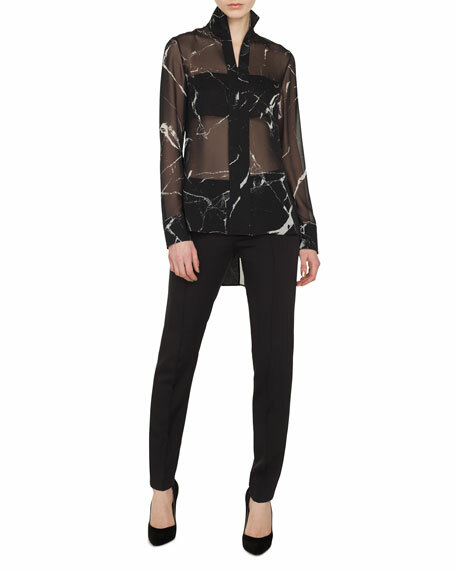 For in-store inquiries, use sku #2460959. 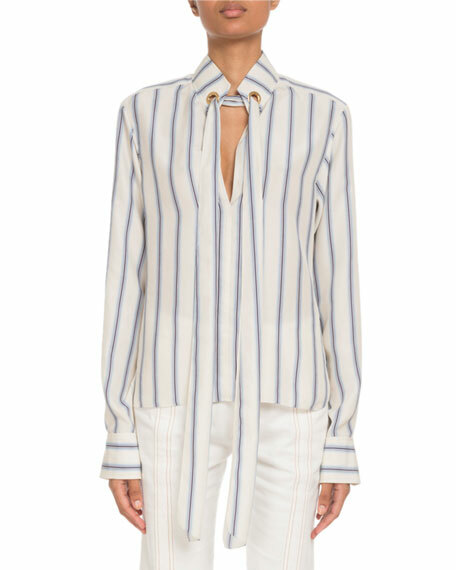 Brunello Cucinelli blouse in striped poplin. Ribbon banded, stand collar with monili beading; button front. Long sleeves; roll-tab adjustable. 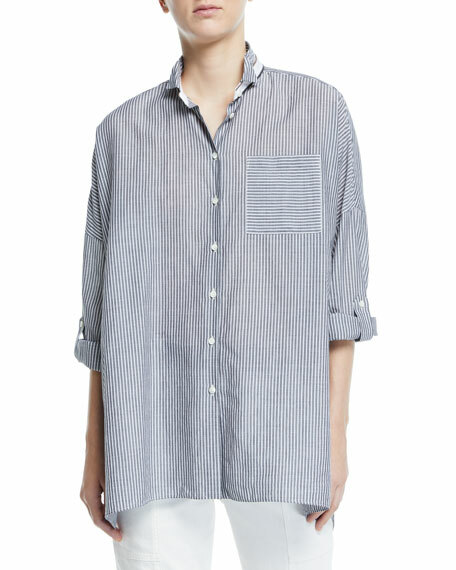 Left chest pocket. Oversized fit. Hem hits below hips. Cotton/nylon/spandex. Made in Italy.